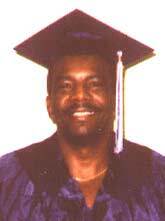 Michael Fullwood was on death row at Central Prison in Raleigh, North Carolina. Michael is a talented artist whose beautifully colored drawings of landscapes, flowers and birds are all the more remarkable considering that his past fourteen years on death row have been spent in an environment of stress, depression and despair. Yet, in spite of the debilitating effects of living on death row, Michael’s religious faith has given him the needed strength to continue expressing himself through his art. Michael Fullwood was convicted in 1985 of murdering the mother of his daughter, Michelle Leanne Fullwood, when Michelle was just an infant. Michael is acutely aware that because of his actions Michelle has grown up without either a mother or father. Michael wants to make restitution for his crime by providing his daughter with a college education. When Michelle found out about the college fund, she communicated with her dad for the first time in 14 years. Michael’s drawings have been made into note cards. On the back of each note card is an inscription about his story and the fund that has been established. $1.50 per box for sales in the U.S. and Canada and $3.00 per box to Europe. has been established at BB&T Bank in Chapel Hill, North Carolina. close to understanding and recognizing the cries of others in their many forms…"